This colorful patch of sky is located approximately 4,200 light-years from Earth. 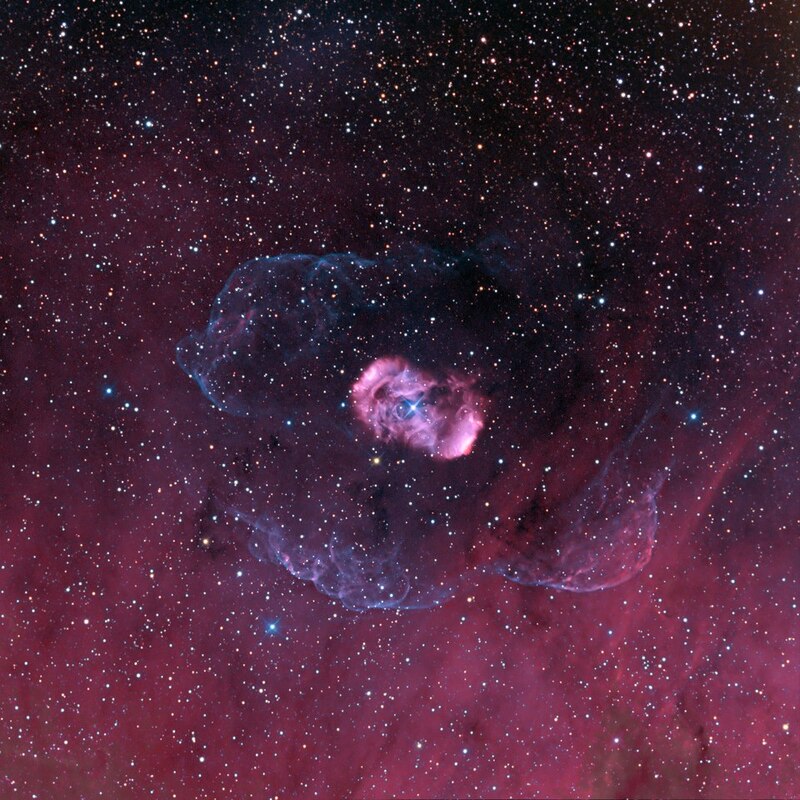 Called NGC 6164, this bipolar emission nebula is situated in the constellation of Norma. The hot progenitor star that spawned this region is a rare middle-aged, O-type star (only 5 stars like it are known to exist). Stars in this weight class only live a fraction of the time our Sun does, exploding as supernovae in just a few million years. Similar to other massive O-type stars, HD 148937, the star at the center of the nebula, converts hydrogen into helium through something called the CNO cycle. This cycle sees carbon and oxygen get converted into nitrogen as a byproduct. This nitrogen, in turn, floats up to the surface,where it is then used to help us determine whether or not a star has reached maturity. The accompanying nebula is powered by ultraviolet radiation streaming from the star’s surface into the surrounding gaseous envelope, with ionization happening, the temperatures skyrocket to the point that the gas glows at visible wavelengths. 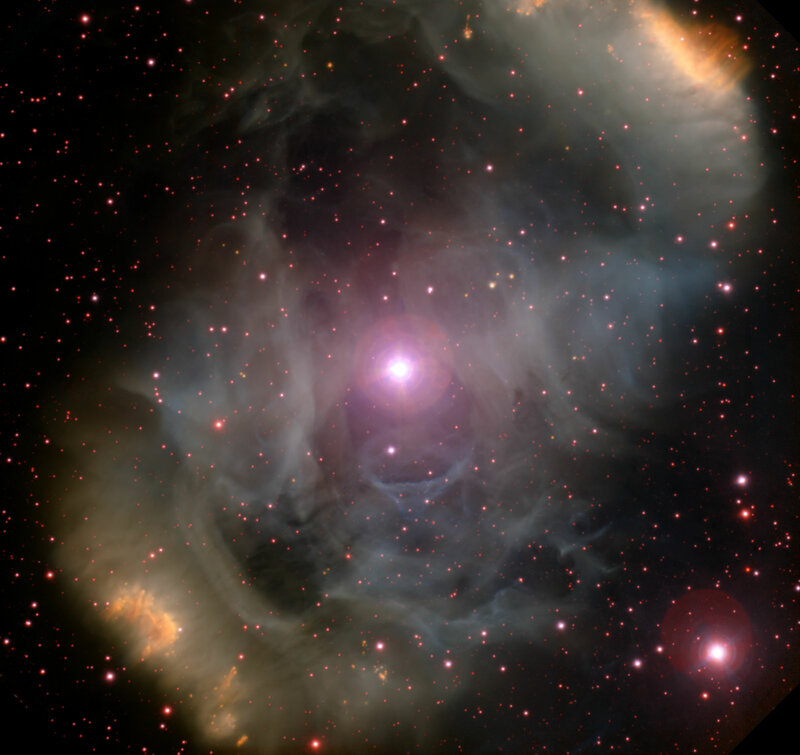 The enhanced presence of nitrogen near the surface of the star, which is carried into space by to stellar winds, contributes to the shell-like appearance of the nebula.